The Semmler surname comes from semmel, a German bread style common in southern Germany. Georg Heinrich Semmler was from Hesse-Darmstadt, a duchy during the nineteenth century. While it contains the city of Darmstadt, old maps indicate it was larger and somewhat irregular in area, and we have no further information about the actual location where the Semmler ancestors lived in Germany. 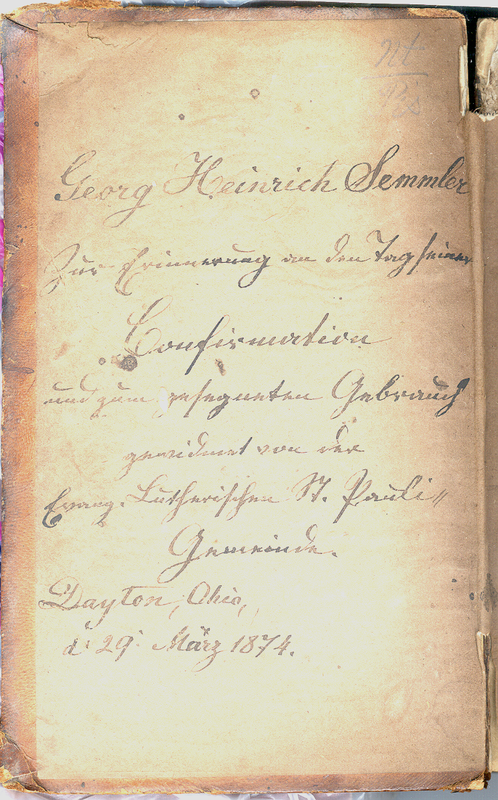 Based on information provided by his daughter Catherine in the 1900 census, it appears the Georg Heinrich Semmler family immigrated in 1845, coming to Mad River Township, Montgomery County, Ohio, where they are found in the 1850 census. The maiden name of his wife Catherine is unknown. The second "m" in the surname was dropped before the turn of the 20th century. Henry William "Hen" and Effie J. 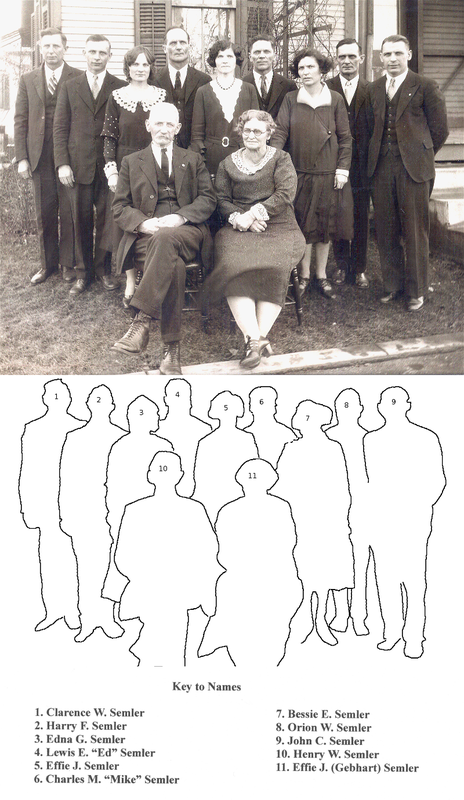 (Gebhart) Semler and family, 1920s.